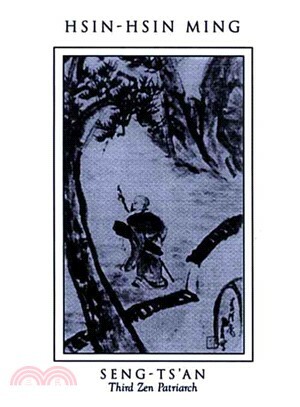 The Hsin Hsin Ming, Verses on the Faith-Mind by Seng-t’san, the third Chinese patriarch of Zen, is considered to be the first Chinese Zen document. Lucidly translated here by Richard B. Clark, it remains one of the most widely-admired and elegant of Zen writings, and is as relevant today as it was when it was written. In a world where stress seems unavoidable, Seng-t’san's words show us how to be fully aware of each moment.